The United States of America is located next to the world’s biggest supplier of narcotics. It is Canada. No, just kidding, it is Mexico. Not only is Mexico the world’s biggest supplier, but they are also the world’s biggest consumer of narcotics. The drug industry makes billions of dollars every year, with revenues comparable to the likes of companies such as Netflix or Facebook. How is such a big industry so successful? The answer is a structurally sound infrastructure. Every businessman knows that what a business needs to survive is a good infrastructure. 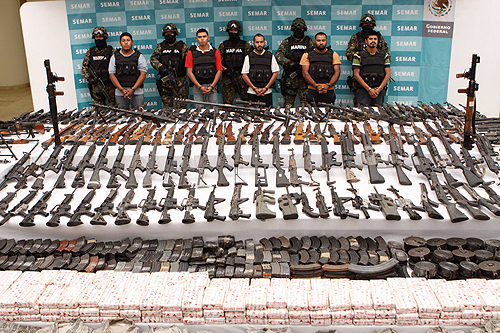 An example of a very successful drug cartel with excellent infrastructure is Los Zetas. Los Zetas was an elite paratrooper unit in the Mexican Army. The Gulf Cartel, who was in charge of the eastern corridor of Mexico, needed help holding their territory so they hired professionals. Eventually, Los Zetas became so good at what they were doing, they took over. Since Los Zetas started in the military, they had a very structured chain of command and a clear promotional path. Los Zetas focuses on recruiting, often offering better salaries and better benefits. When they show up to a new area, they offer the most powerful local gang a chance to join them. You get the idea of what happens if they refuse. With this business strategy and their own radio communication system, Los Zetas has proved one of the most successful cartels. Los Zetas own their own encrypted DIY radio channel spanning over all 31 states, all the down Guatemala. wired.com states that the narcotic gang owns "professional grade" military radio antennas, signal relays that Mexican authorities haven't been able to shut down. How they do it is they break up their territories into areas called "plazas". A small boss is in charge of the plaza, figuring out where the antennas go and where to hide them. Plazas link together and the system of homemade radio works. However, the radio system can also be used for intimidation. 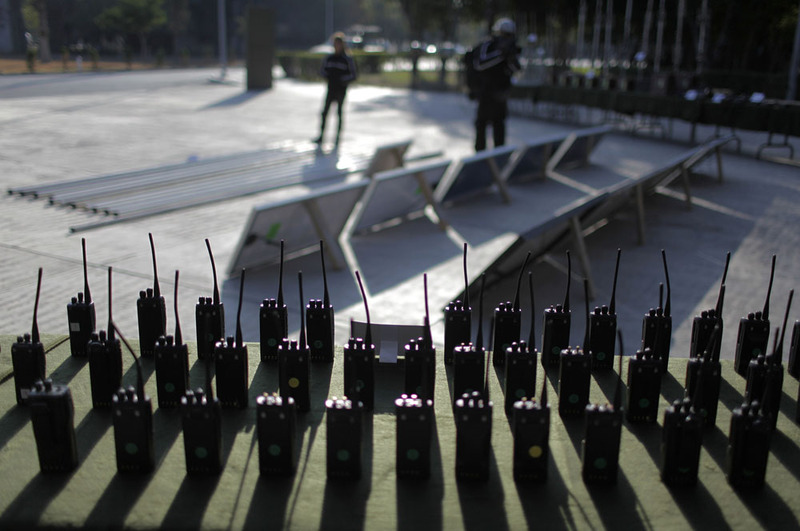 Los Zetas will often take over a radio channel speaking of cartel activity to throw other cartels off. This complex radio system is far more advanced than other cartels use. How this project relates to AP Human Geography is the chapters 9, 11, and 12, Development, Industry and Services. Drug Cartels help LDC's develop because drugs could be a good take-off industry. Drug cartels also relate to Industry because the way they manufacture drugs. Chapter 12, Services, relates to drug cartels because cartels provide services for clients, such as delivering drugs to them. Not necessarily, a good service. I choose this topic because, honestly, I had no other choice. My first choice was not connected to human geography and I was stuck on that for two days. Eventually, as I was running out of time, I started scrolling through TedTalks on their page. The topic of drug cartels came up and I was instantly fascinated. Not because I’m some kind of drug addict, or some king of a crystal meth empire in New Mexico, but because I’ve always been interested in how since everyone knows about drug cartels, why doesn’t the government just shut them down? This simple question led me on this research path and my mind has been opened to several new things. My favorite thing I’ve learned is the structure and set up of the Los Zetas drug cartel. They just sound like a regular business, except with drugs and bad stuff. That was very interesting to me. "Los Zetas Drug Cartel Has Their Own Radio Network." Traces of Reality by Guillermo Jimenez. N.p., n.d. Web. 30 May 2014. "Los Zetas Contrataron Taxistas Y Vendedores Ambulantes Como Vigías."Ágora. N.p., n.d. Web. 30 May 2014. TedTalk:"Rodrigo Canales: The Deadly Genius of Drug Cartels." YouTube. YouTube, n.d. Web. 30 May 2014. Keefe, Patrick Radden. "Cocaine Incorporated." The New York Times. The New York Times, 16 June 2012. Web. 30 May 2014. Ackerman, Spencer. "Radio Zeta: How Mexico’s Drug Cartels Stay Networked | Danger Room | WIRED." Wired.com. Conde Nast Digital, 25 Dec. 0011. Web. 30 May 2014. Alex. One of the five Asian dragons.